Foodie Fancies: I've got news. BIG news. I've got news. BIG news. Have you missed me? I’m sorry to have left you in the lurch but rest assured that I did have the best of reasons. I’ve been exhausted and completely lacking in motivation to do any sort of creative cooking for the past few months. Luckily, it’s not because I’ve been experiencing an MS relapse (I feel healthy and strong from that point of view). It’s because I’m pregnant! Some of you who know me in real life will know that this is something I’ve wanted for a long time – a very long time. Life got in my way. We had difficulty conceiving. There were all the health worries associated with me having MS. In fact, there were so many hurdles that I was beginning to come to the heart-breaking conclusion that I would never be a mother. But… then came March and a positive pregnancy test (actually three positive pregnancy tests as I couldn’t believe what the first, or second, was telling me!). 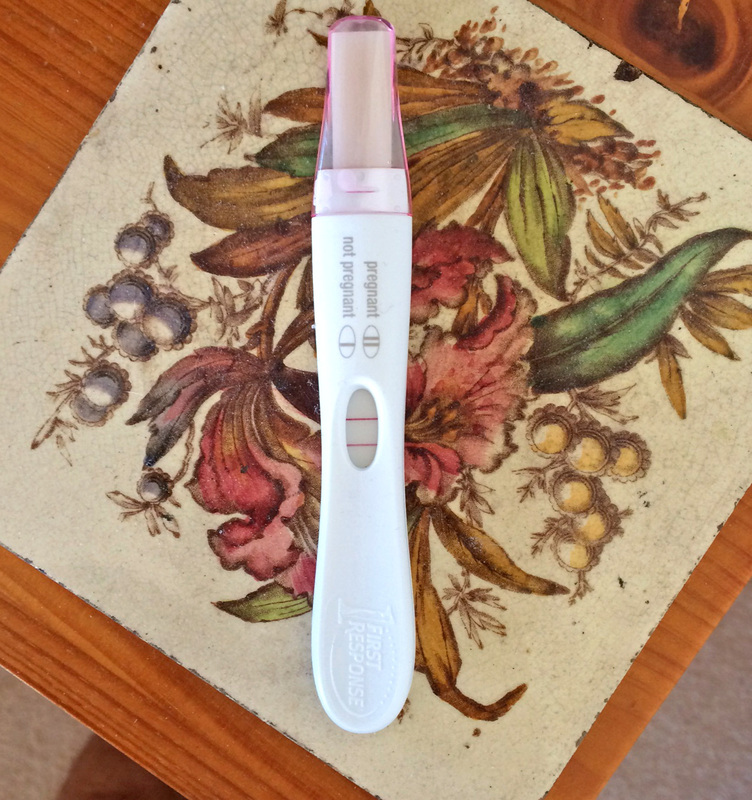 This is the third test - the one I finally believed! My reactions surprised me. I was understandably shocked. I was overwhelmed with happiness. But I also felt unexpectedly fearful, fearful for the future and the physical, emotional and other challenges it would bring. It seemed that hoping for something for a long time had in no way prepared me for the reality of being pregnant. Nor did it prepare me for the side-effects of early pregnancy. There were times when I felt entirely drained of physical and mental energy. Lifting my limbs or thinking a thought through to a logical conclusion (let alone crafting a sentence) proved to be beyond me. I didn’t suffer from morning sickness but I was repulsed by food. I had a disgusting metallic taste in my mouth no matter what I ate. I feel better now that I’m in my second trimester. The metallic taste is gone and repulsion has been replaced by ravenousness. However, the tiredness hasn’t gone away but recent blood tests may have revealed the reason for that: my iron levels are low. This poses a particular problem for me. I have a condition that is common to Irish people called haemochromatosis. It causes my body to absorb excessive amounts of iron, which in turn puts pressure on my liver. In the past, I controlled this by not eating too many iron-rich foods; something that wasn’t too difficult because the OMS diet prevents me from eating red meat (or indeed any meat at all). But now the baby obviously needs more iron than I have to give and because of my condition, I can’t take iron supplements. So, I’ve started a new regime. I’ve decided to eat red meat once a week and two weeks ago, we had lamb. We cooked it on the barbeque so that most of the fat cooked out of the meat and on to the coals and it was delicious. The following week, we had beef and that didn't go so well (but the less said about that, the better). I’m eating sardines once a week. I had them with red onions, broccoli and whole-wheat pasta for lunch today and I’m still licking my lips. I'm eating tofu once a week too. I don't want to eat it more often than that as I'm a little worried about soy products. I’m also eating more pulses. I’m looking forward to experimenting with all of these ingredients and I’m sure I’ll post lots about it (and about the learning process of being pregnant) here. In the meantime, I’d love to hear from any of you who followed the OMS diet or any kind of health-giving exclusion diet while pregnant. How did you stick to the diet while making sure your baby got everything it needed to grow strong and healthy? Congratulations and best wishes from us in the Philippines. Go raibh míle maith agat, Maryellen. Tá súil agam go bhfuil gach aon ní go maith leatsa agus do bhean bheag! I live on the Dingle Peninsula, a small and beautiful part of southwest Ireland. I do a variety of jobs to make ends meet here. I work as a journalist. I teach. I used to have a café called Béile le Chéile and a stall at the farmers’ market until I closed them both at the end of 2013. I’m now considering some new adventures in food. I was diagnosed with MS in 2010 and after a few years of taking medication, I discovered the OMS diet, a health-giving diet that has since allowed me to treat the condition without need for medication. This blog features recipes that I’ve developed as well as my thoughts on places I go, people I meet and books I enjoy. Basically, it’s a flavour of my life in food. 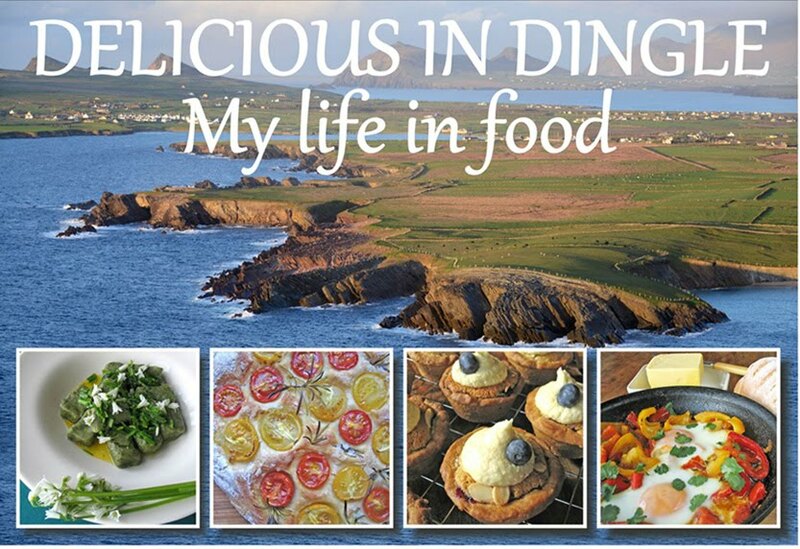 If you’d like to learn more or if you’d like to discuss working with me, you can contact me at sharon@sharondingle.com.